New home ownership is more affordable than you may think. 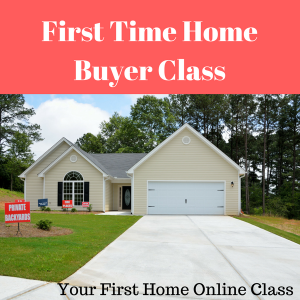 If you’re looking for a new home now is a great time to buy a brand new home. We work with several new national and local home builders to help you find the right community and the right location. Several of our home builders are offering homes in the low to mid $200,000 price range. This price range is very competitive with resale homes. So for around the same price as a resale home you can buy a brand new energy efficient home with a 10 year warranty. Four Seasons Smithville is a fantastic 55 and over active adult community built by K. Hovnanian. 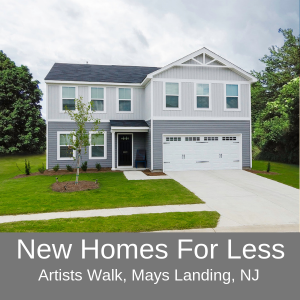 This is the largest 55 and over community in Atlantic County and has some of the best amenities activities and clubs for active adult home buyers. Recently I met with a couple who will be relocating and wanted to know when would be the best time of year to sell their house. Their new home would not be ready until July or August and they wanted to time the sale of their Four Seasons home with the purchase of the new home. I studied the 2018 sales in the community to give them an idea of when they would need to put their house on the market for sale. 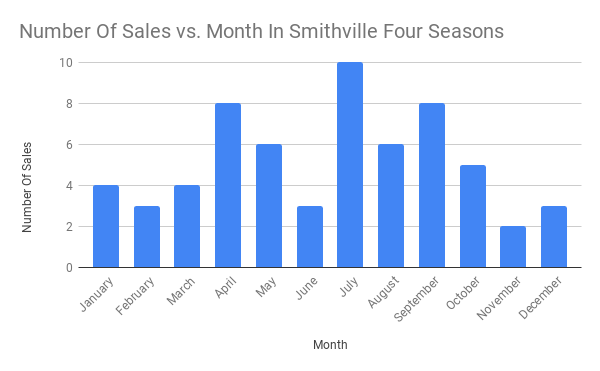 The chart shows the number of sales each month for the community. Average days on market for Four Seasons was 57 for the year. So that means it took 57 days on average for a home to sign a contract. Then typically it would take another 30-60 days to close from that date. The biggest sales month was July followed by April and September. If you are looking to sell at one of the peak months March or April is a great time to list the house for sale. Who do you know that needs this kind of advice in selling their home? Contact me for a free consultation. Why You Should Buy Or Sell A House In Atlantic County Right Now. 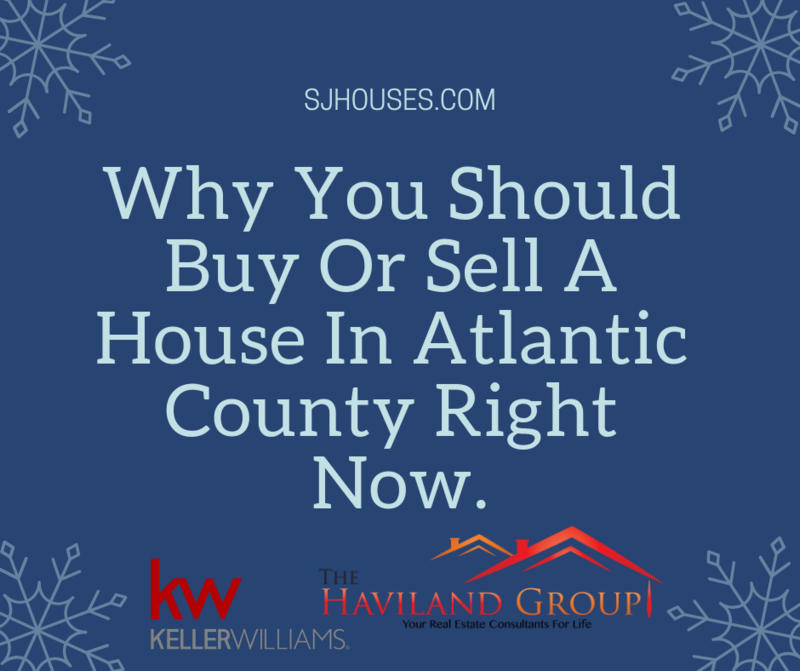 There are many reasons to buy and sell a home right now in Atlantic County, NJ. Let’s take a look at this from the perspective of home buyers and sellers. 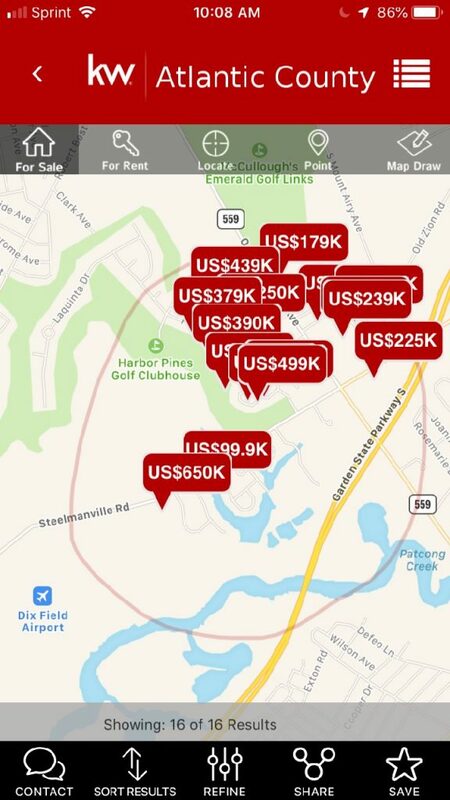 Home Buyers In Atlantic County, NJ. Interest rates are still low. You still have great buying power. Atlantic County, NJ home prices are on the rise in many of our communities as inventory is shrinking. Purchase now before prices go up. Right now there are less buyers looking for homes in the winter. Less buyers means less competition and you are less likely to get in bidding wars with other buyers. You can often negotiate a great price and terms this time of year. 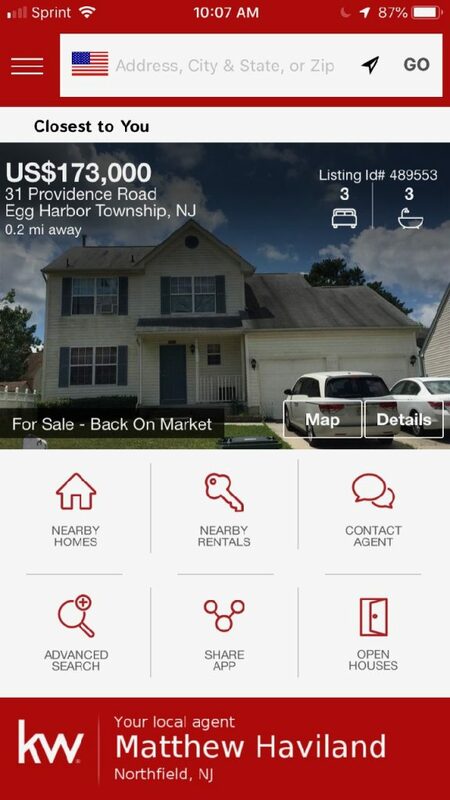 Right now inventory is lower in Atlantic County. If your neighborhood has no other homes for sale or just a few for sale this could be a great time to sell before more homes come on the market in the Spring. If you are moving up to a larger home this is the perfect market to move up to something bigger. Demand for lower price homes in the $200,000 range and below is high. Demand for higher priced home is not as great. That means you can get top dollar for your home and get a great deal when you purchase your next home. Rates remain low. Higher interest rates mean less buying power for home buyer. If rates go up home prices will go down. Sell now before any likely interest rate hikes occur. Figuring out when to buy and sell a home ultimately depends on your circumstances and situation. Contact me for a free consultation. 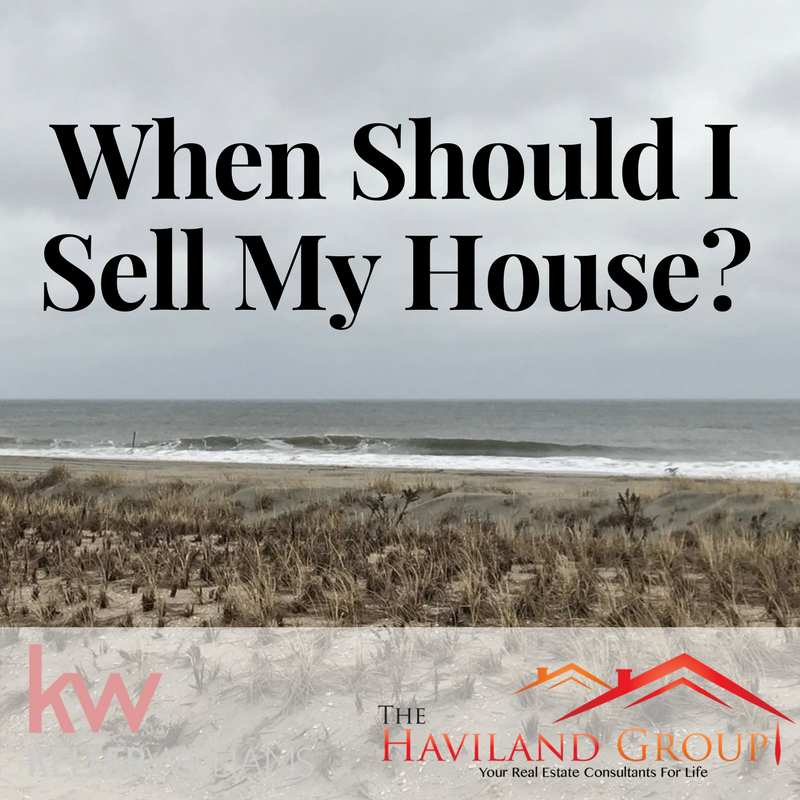 I can ask a few simple questions to help you determine if this is the right time to buy or sell for you. In this video I answer one of the most common questions I get. Should I wait until Spring to buy or sell a home. Once again our market center is outperforming the market. As many of our competitors businesses are contracting we continue to grow while providing maximum benefits for our clients. 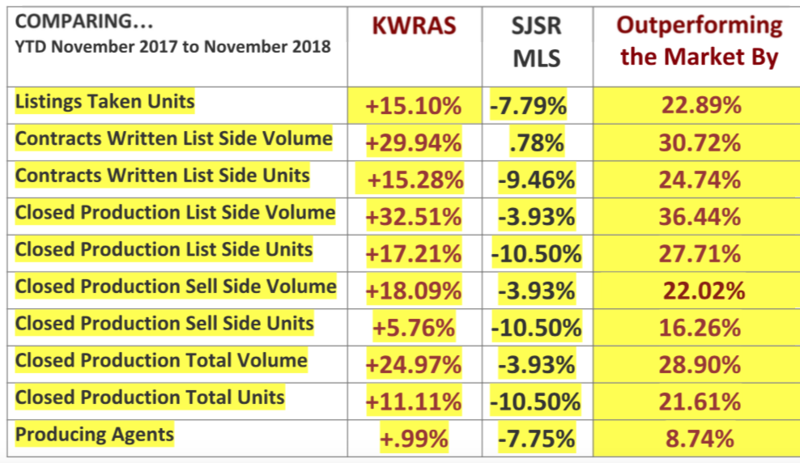 The chart below compares Keller Williams Realty Atlantic Shore and the entire South Jersey Shore Regional Multiple Listing System (all real estate brokers combined). We are outperforming the market in every category. Our main office is in Northfield NJ and we also have offices in Brigantine and Little Egg Harbor NJ. Why wait until the Spring? There is less competition right now! Many people always think of the Spring as the best time to sell and buy a home. That typically is when we have the most activity in our market however that doesn’t mean it’s always the best time to sell. Right now we are on the tail end of winter. We have some cold nights and the occasional snow storm and overall the weather is not bad. Buyers are out now shopping for homes. Listing and selling your home now means that your home will competing agains fewer homes for sale. Fewer homes for sale means you may be able to get a better price for your home. Some of our communities are experiencing an all time low in inventory of homes available. The answer to the questions of when should I sell my house is it depends. It depends on your circumstances, your plans, your neighborhood and your house. 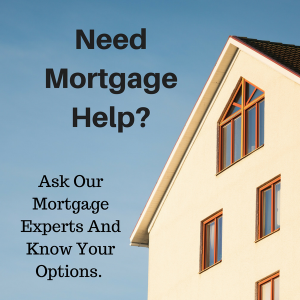 There are many factors to consider and I’m here to help you. Contact me for a free consultation to determine when the best time to sell would be for you. Now is a great time to sell your home. We made it past Thanksgiving and now December will be over before we know it. Many home seller chose to pull their homes off the market this time of year and wait until Spring to sell. Here are 11 reasons sellers should list during the Holiday Season. 11. By selling now, you may have an opportunity to be a non-contingent buyer during the Spring, when many more houses are on the market for less money! This will allow you to sell high and buy low. 9. Even though your house will be on the market, you still have the option to restrict showings during the six or seven days around the Holidays. 8. January is traditionally the month for employees to begin new jobs. Since transfers cannot wait until Spring to buy, you need to be on the market during the Holidays to capture the market. 6. Buyers have more time to look for a home during the Holidays than they do during a work week. 5. Buyers are more emotional during the Holidays, so they are more likely to pay your price. 3. Since the supply of listings will dramatically increase in January, there will be less demand for your particular home. Less demand means more money for you.